Over the past few months, we of the Gawker Tech Team have put a ton of work into improving site performance and stability. If you don't recall seeing much evidence at all of the latter, you're right: we're only just now at the point of our time investment starting to pay off. More about that in a subsequent post! This post is about the performance side. Replacing sequential requests with ones that can be made in parallel, and cleaning up unneeded requests. Reducing the size of the styles and scripts that are needed to render a page. Freezing animated GIFs (pronounced "Gifs", with a hard "G"). Some sites, like Sploid, love to put GIFs all over the place, and these things add up (and even crash mobile browsers). 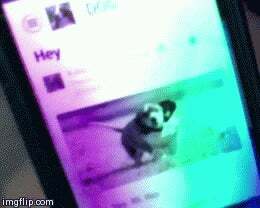 Animated GIFs on mobile are now click-to-play, and on desktop they only play once scrolled to. Following general performance best practices, such as ensuring that our assets are cached for as long as possible. (On mobile) show a thumbnail for GIFs with a Play button. The GIF plays when the user taps the Play button. In the past, because of all those GIFs, you would have incurred nearly $300 in data costs just loading that page! Now you're only charged for the GIFs you actually use. This is the way things should be. We could have squashed the layers together, which would simplify the logic a good amount. But this would yield one giant, frequently-changing blob of JS. Visitors would be less likely to have the latest version of it cached as they browse the site, and so would be fetching a very large file more frequently. We built a few tools to aid us in reducing the size of scripts and other dependencies. One, soysauce, analyzes Closure Template dependencies, and among other things lets us know if we're pulling in unneeded templates. Contribute to gawkermedia/big-assets development by creating an account on GitHub. Using these tools as well as some common sense we were able to dramatically reduce the amount of code needed on every page, and are continuing to monitor the codebase for things we can clean up. About the last, biggest drop in early April, which allowed me to use the word "halved" and makes the chart look as impressive as it does: this is partly a lesson in how you shouldn't trust charts (and people bragging about their results). Around that time, we decided to show more images on our mobile view, which was previously a little sparse. To prevent phones from having to immediately load a large number of images on their limited connections, we started displaying "below-the-fold" images only after the user scrolled. This makes the numbers look pretty fantastic, but the perceived performance improvement on the user's side is disproportionately small to our earlier changes, because most browsers are pretty good at downloading images without blocking other site functionality from loading in. (Some good related discussion here). So, in summary: we halved our load time by following recommended performance practices, reining in our GIFs, and also cheating a little. This is just the start, we're continuing to focus on making Kinja a speedy experience. For more on frontend performance optimization, check out Google's performance best practices guide and High Performance Websites by Steve Souders. If you would prefer to read stuff written by a dog, check dog.gawker.com. * "GIF" is pronounced "Gif", with a hard "G".